The 10th Regiment of Foot (or 10th North Lincoln Regiment) was raised on 20 June 1685 as the Earl of Bath’s Regiment for its first Colonel John Granville, 1st Earl of Bath. The regiment saw action during the War of the Grand Alliance, the War of the League of Augsburg and the War of the Spanish Succession at the Battle of Blenheim, Battle of Ramillies and the Battle of Malplaquet. In 1750 the regiment was sent to Ireland. In 1751 it was renamed the 10th Regiment of Foot as all British regiment were given numbers instead of the colonel’s name for identification. The 10th took part in the 1759-60 action to repel Thurot at Carrickfergus during the Seven Years’ War. The regiment next saw action during the American Revolutionary War at the Battle of Lexington and Concord, Battle of Bunker Hill, New York Campaign, Battle of Germantown, Battle of Monmouth and the Battle of Rhode Island. 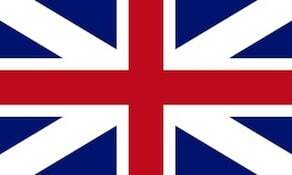 In 1778 the 10th returned home to England after 19 years service overseas. In 1781 the regiment was linked to the County of Lincolnshire for recruiting. During the French Revolutionary Wars and the Napoleonic Wars the regiment served in Egypt and in Portugal and Spain in the Peninsular War. The 10th was in India for the First Anglo-Sikh War and the bloody Battle of Sobraon where they met “Our Cousins” the 29th Regiment of Foot in the captured trenches. The 10th also fought in the Second Anglo-Sikh War and the Indian Mutiny. The 10th Foot, 1st Battalion served in Japan from 1868 to 1871. The battalion was charged with protecting the small foreign community in Yokohama. The leader of the battalion’s military band, John William Fenton, is honored in Japan as “the first bandmaster in Japan” and as “the father of band music in Japan.” He is also credited for initiating the slow process in which Kimi ga Yo came to be accepted as the national anthem of Japan. In 1881 the 10th Regiment of Foot became the Lincolnshire Regiment as all British regiments were given County names. Following the Second World War, it was awarded the title Royal for its service during the war, its name becoming The Royal Lincolnshire Regiment. Currently the 2nd Battalion of the Royal Anglian Regiment is the modern unit linked to the 10th Regiment of Foot. Ensign Jeremy Lister of the 10th Regiment who saw action on 19 April 1775 in Massachusetts recorded events in his journal that was later published in a book. In 1968 in preparation for the Bicentennial celebrations of the United States a modern re-enactment of the Tenth Regiment was formed by Vincent J R Kehoe of Chelmsford, Massachusetts. The group, based Lexington, Massachusetts, remains active and participates annually in the recreation of the Battle of Lexington Green on Patriot’s Day. Steve Carell was part of the group, reenacting as a fife player.